Between shoots for a client, DB&P got some downtime in a $105,000 1971 Jaguar eType. So what did we do? Got into it over the correct pronunciation of the word ‘Jaguar’. It was a war of words. And in war there are no winners … only losers. It’s seven minutes Jaguar didn’t pay for. Seven minutes they won’t ever see. Seven fun-filled minutes of Dropbear and Panda doing what we do best. Being ridiculous. Somewhat charming. And silly. 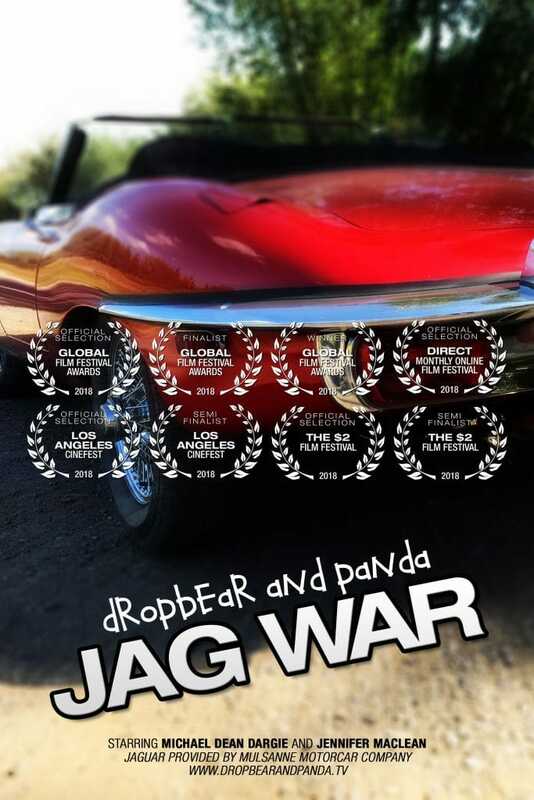 With zero budget, and time between shoots, we bring to you JAG WAR, the Trailer including the “In a world …” voice, and of course a silly Blooper Reel to round things out. Huge thanks to Mulsanne Motorcar Company! Seriously. It is sooooo hard sometimes. OMG. Panda called it a JagWar for a week, and now she’s just calling it “the jaaaaag”. What the hell. I tried. Heathen. I should make some t-shirts. Jag War is funny, bloody good British accent. I agree with Panda, Jag War!